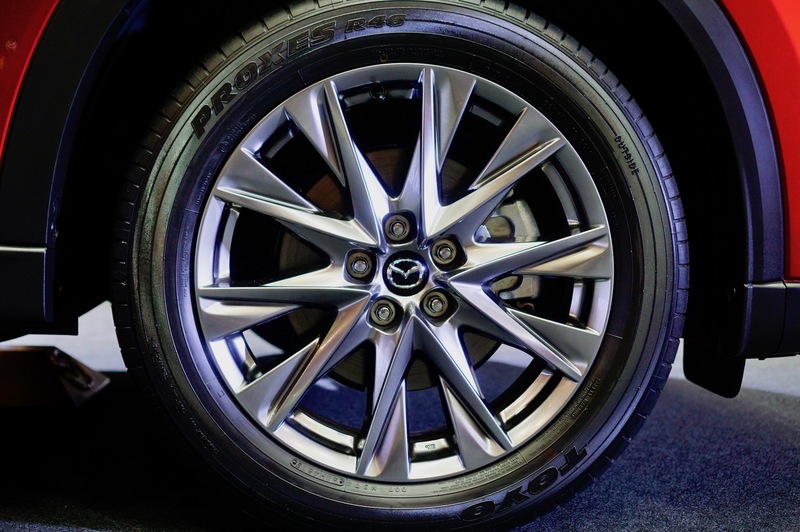 Bigger than the CX-5 but smaller than the CX-9, could Mazda’s latest SUV hit the size sweet spot? 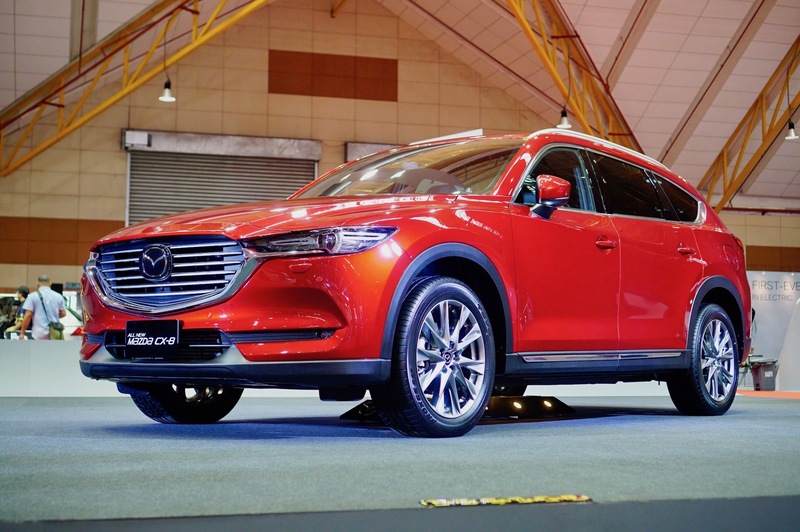 If you missed the last time the Mazda CX-8, Bermaz have wheeled it out and put the seven-seater on display at the Malaysia Autoshow that’s happening this weekend at MAEPS. 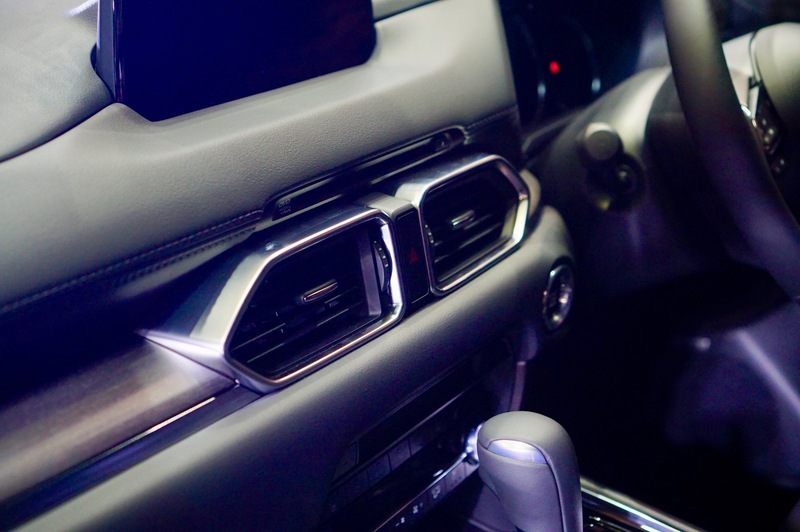 It is worth to come out and have a look if you’re thinking of having a very stylised seven-seater SUV in your driveway. 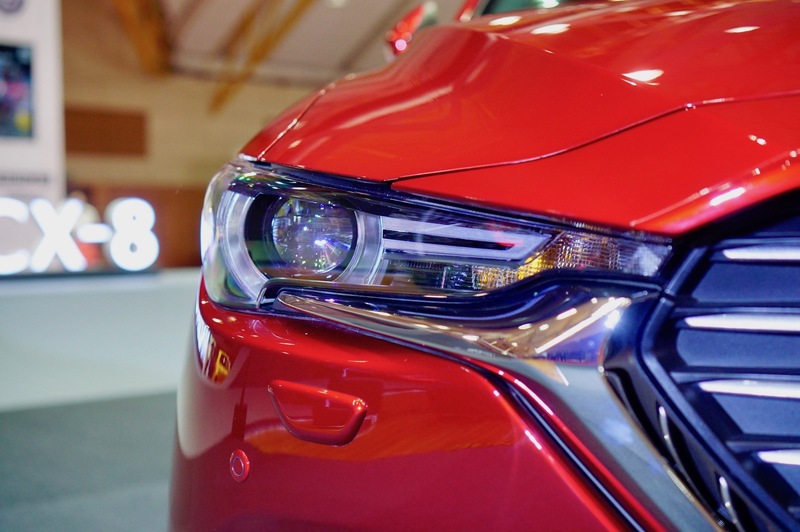 When it finally hits out roads sometime this year, the CX-8 will be powered by either the 2.5-litre Skyactiv-G petrol engine or the 2.2-litre Skyactiv-D turbodiesel engine. 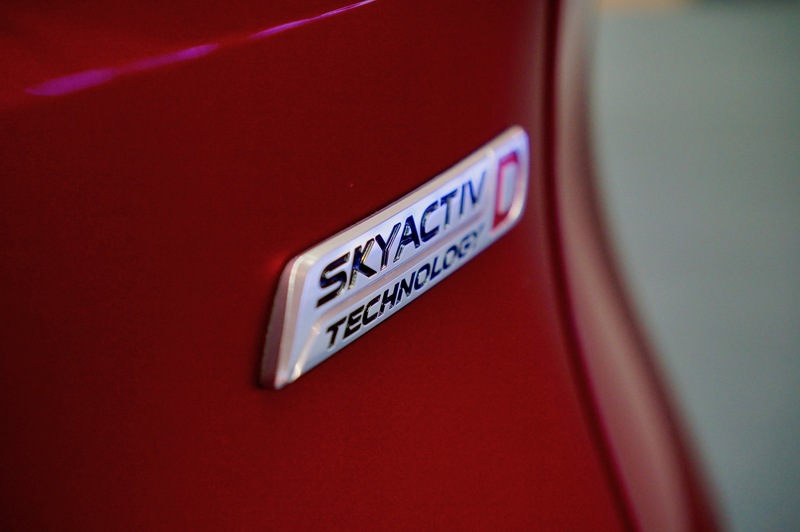 The 2.5-litre petrol engine generates 192hp at 6,000rpm and 257Nm of torque at 3,250rpm. 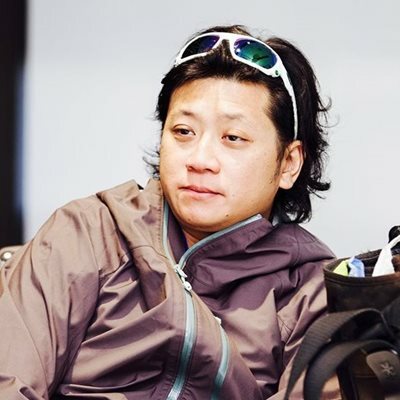 Paired with the engine is a six-speed automatic transmission, which sends power to the front wheels. 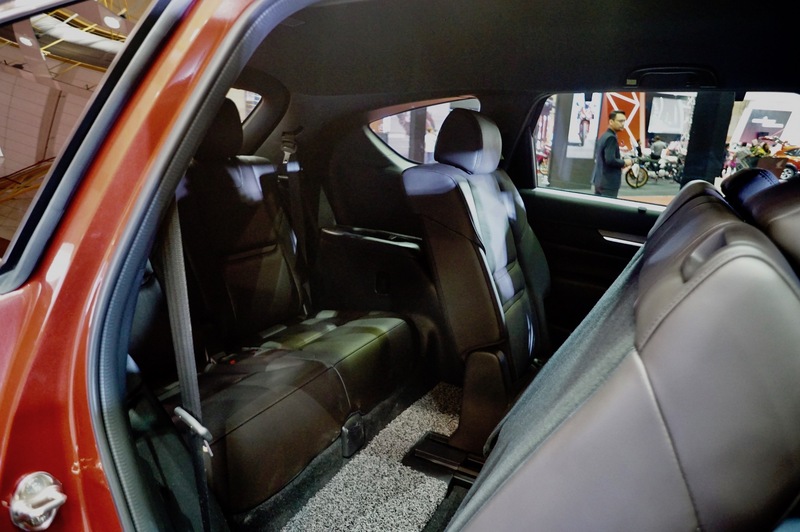 There are three trim levels for the petrol-powered CX-8, the significant differences will be the type of the second-row seats and the if it will be wrapped in fabric or leather. The 2.2-litre turbodiesel produces 188hp at 4,500rpm and 450Nm at 2,000rpm. 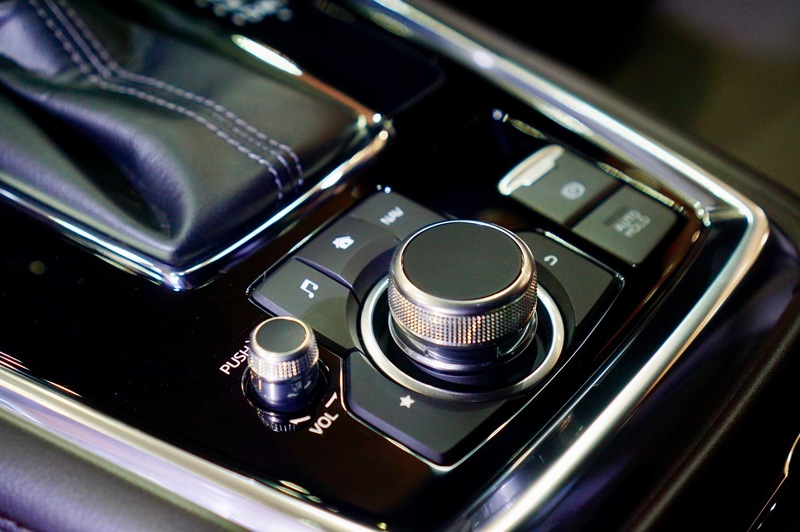 Again, the six-speed automatic is responsible for transferring power to all four wheels. 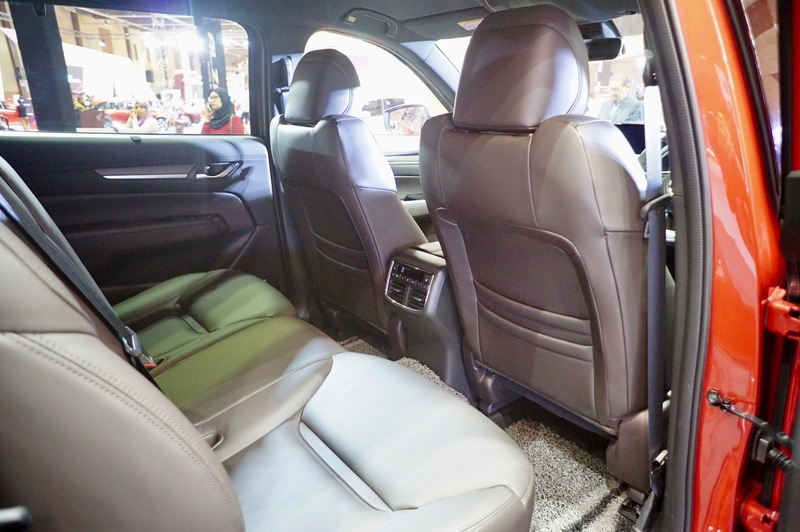 There’s only one trim for this CX-8; the seats are wrapped in leather and the second row is configured to have Captain Seats with a centre console armrest. 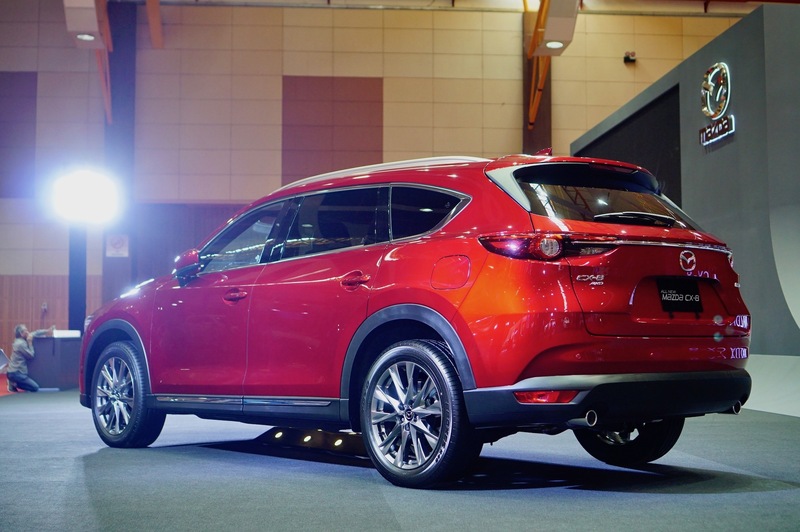 The Mazda CX-8 will be launched this year, and it will slot itself in between the CX-5 and the CX-9. Logically, the pricing too will be in between the two SUVs. 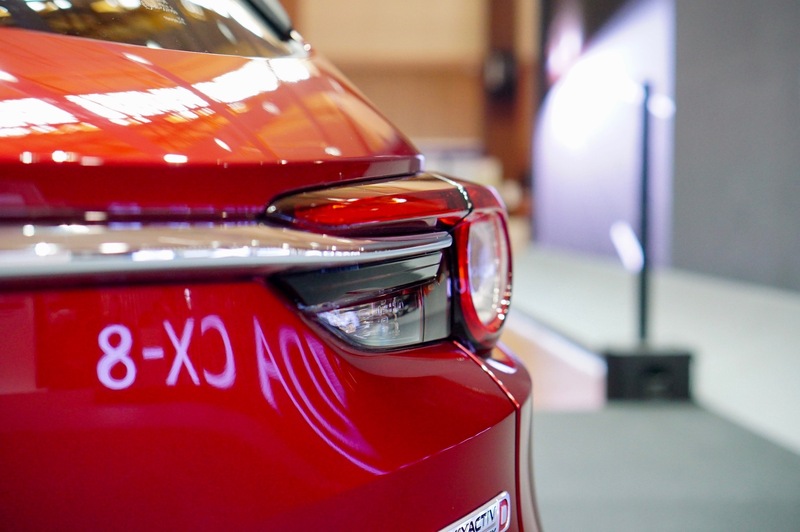 Accompanying the CX-8 on display are the CX-3, CX-5, CX-9 and the Mazda6. 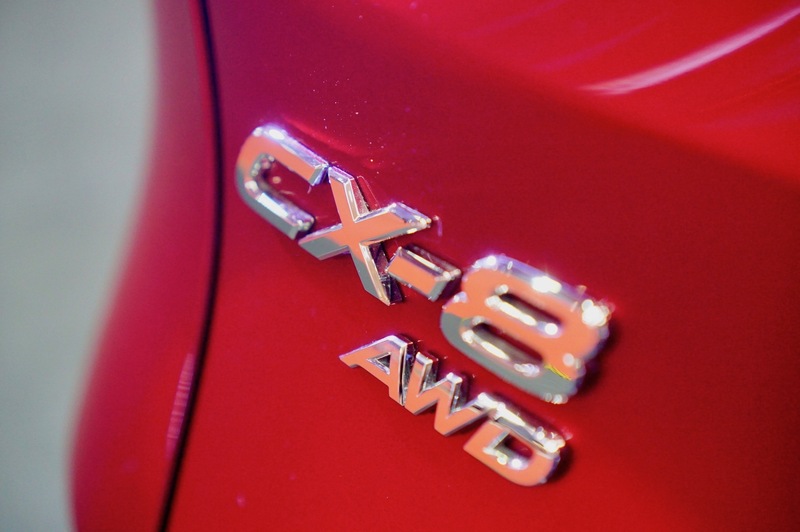 There are also test drive sessions for the CX-5 2.5, CX-5 2.2D 4WD and the Mazda6 2.5.